If you are an ethical hacker or a security researcher, this news will undoubtedly interest you. 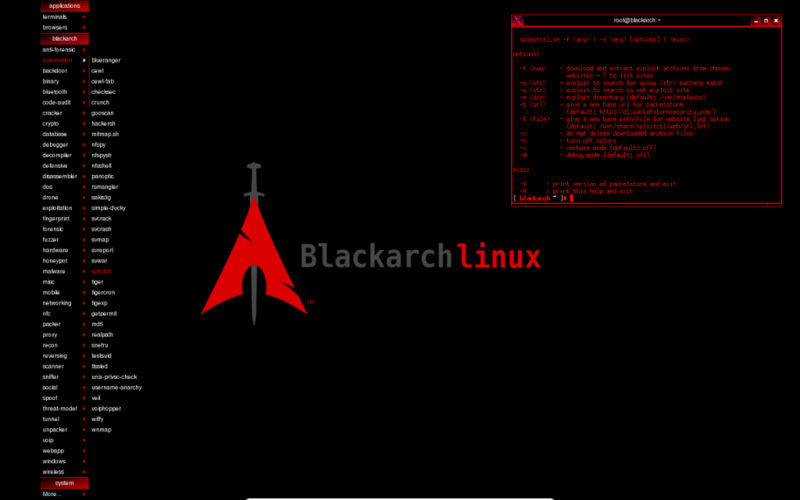 The BlackArch Linux devs have released-the new ISO image of the Arch Linux-based operating system designed for designed specially for hackers and security professionals. After being in works for several months, the BlackArch version 2016.04.28 was released today as a replacement for the previous ISO image, version 2016.01.10. The new version adds more than 80 new tools that can be used for penetration testing and security auditing operations. The new BlackArch Linux ISO also has a brand-new BlackArch Linux installer, which will make installation of the GNU/Linux distribution much faster and easier than before. Just like Arch Linux, BlackArch Linux is now powered by Linux kernel 4.5.1, and according to the release notes of the BlackArch 2016.04.28 ISO image, an EFI boot issue has been fixed, along with a well-known 32-bit (i686) boot problem reported by users. The new version also has a total of 1400 penetration testing tools with the old ones updated and the new ones added, making it a must have download for hackers and security researchers. You can download the new version ISO directly from the project’s website. The website also included FAQs and release notes for you to get started.